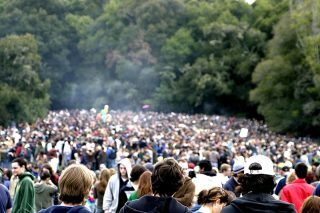 If you haven’t heard of the 4/20 festival, you clearly haven’t been to Hyde Park on the 20th April. 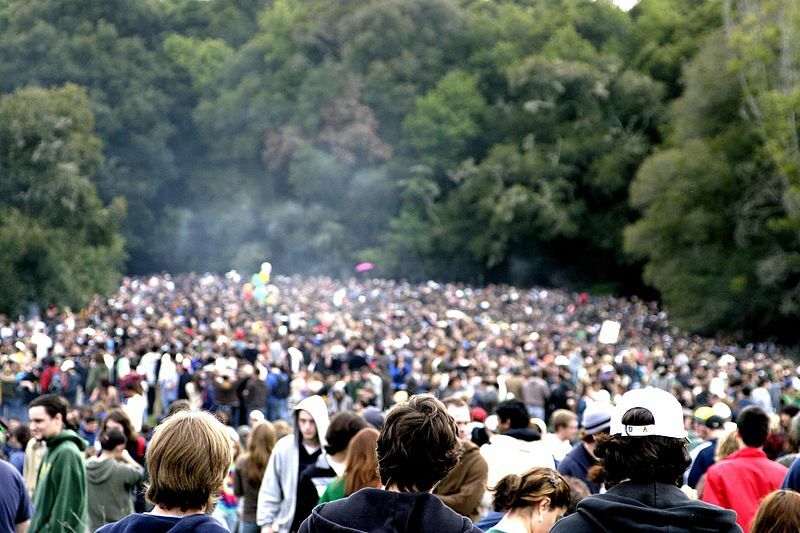 Thousands gather there each year to celebrate “World Weed Day” by smoking a joint, chomping down on a space cake, and protesting for cannabis legalisation. Obvs consuming marijuana is currently illegal in the UK. But if you fancy checking out the 4/20 festival for -uh- the atmosphere, then here's some weird and wonderful trivia to get you in the mood. 1) It’s a global event that is celebrated all over the world, from Peru to Iceland to South Africa. 2) But, as you might be able to tell by the way the date is ordered, the 4/20 Festival started off in the USA. 3) The name came from a group of school kids in the ‘70s: they used to meet up at exactly 4.20pm in order to smoke pot together. 4) They also appaz had this whole Goonies-style plan to find a secret cannabis plant via a treasure map, but that didn’t ever seem to work out for them. 5) Road signs with the number 420 on them are nicked so often that some have been repainted with the number “419.99”. 6) When Washington DC legalised cannabis in 2014, the leader of the legalisation campaign was presented with the licence plate 420 by the city’s mayor. 7) The cloud of smoke coming up from Hyde Park on the 20th April 2018 was so big it could be seen from 100m away. 8) Canada renamed a motorway Highway 420 because marijuana plants used to grow along it. 9) Coincidentally, the first proper LSD trip occurred at 4.20pm (and on the 19th April! So close!) The drug taker was LSD’s creator, Albert Hofmann. 10) A bunch of the clocks in Pulp Fiction were set to 4:20.